-People need loving the most when they deserve it the least. It is true that the scariest people carry pistols because growing up in a war zone will keep your spirit scared and you live in a mindset that you may die today. Even the dude I tried to have a family with was abusing us and trying to kill me every week. I look at people like Oprah Winfrey who would probably be pissed that a woman like me even mentioned her name but I always thought about the fact that a little girl could go through what I went through and still have a beautiful life. Meaningful. Then go on to change the lives of others. That is phenomenal. She made me realize that I could do this in my life no matter where I happened to be. 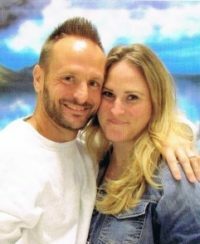 Being in prison and being “spared” your life is to so many Americans too good for people like me. As if we sit in prison having the time of our lives. Let me bring you into my head for a minute. It’s that moment when you first wake up. It happens to every human being in existence. It happens so fast like nanoseconds when your body wakes up and your brain registers where you are. There is nothing in life short of death , I mean that instant when you take your last breath , as bad as waking up in prison. You have to have a very strong mind to get through it or you have to be bat —- crazy. I spent most of my street life in Chicago clubs. Clubbing is a world in itself. It doesn’t matter where you are from , what your background is , or who you know. I can remember feeling so free on the dance floor. The clubs were a safe haven for me because no one could see my pain. Until this day I keep a smile on my face and I only deeply love the people who can see past it. I think back to the moment when I decided that I didn’t care anymore about anyone except my children. No one else on this earth meant anything because what wasn’t taken was sold off to the highest bidder. The hustler doesn’t always realize when she is being hustled especially when you are a child ill equipt to to make any reasonable decisions without guidance. I tell people all the time to sit down and teach their children everything they need to know because if you don’t the streets will. They will teach them all the wrong things and if that is all they have ever been taught then it becomes who they are. Teach your children ! I can say that despite my misfortunes I have learned so much at such an early age that I am wise beyond my years. Even though I look young my spirit is very old. My mind is often tired because I see beyond what is said and I can read a persons entire life with one look. I have cared for people who don’t care. I have loved people who don’t love. I have been the victim and executioner so I feel for myself without feeling sorry for myself. I realize that no matter you come to be how you are at a certain point you bear responsibility for your actions. You open your eyes one day and you see the mess you made and it is a flood. You have broken the dam and there is no possible way to keep from drowning. You can barely swim so you are now left stranded with not a leg to stand on. Now people treat you in a way that is not “normal”. You are now considered abnormal. All they see is evil. Years have gone by. It is impossible to be who you were 15 years ago. Who am I to you ? Who am I to you ? What am I to you ? Who in the hell are you ! I felt this on so many different levels. Caroline, you are a child of a loving Father God. You write like you’re speaking to a ghost you want to impress. Let the reader take a breath now and then by inserting a few more commas. If you can’t, then make each new thought a new paragraph. Try not to exhaust the reader with the format. It’s okay to pull back and let the thoughts settle with those reading them. Do you care for people who don’t care for you, or don’t care about much in general? I care and love people who don’t reciprocate? Or, I once cared for people who don’t care now? Or, I care for people who don’t care. (the reader will assume you mean they don’t care back). “I cared for people who don’t care. I loved people who don’t love. I am a victim and an executioner.” Everybody cares about something; everybody loves something even if it’s not somebody. You can change tenses in a sentence; just be aware when you do it. That way you stay in touch with the meaning of your own thoughts. I can see the now and then emerge. Hey, I feel for ya’ means I feel sorry for you. Why does somebody apologize for somebody else’s situation? Does it mean I’m feeling the sorry part that you can’t. I’m feeling sorry for you, because you can’t feel what it means to be sorry? Does I’m sorry that you feel that way mean I’m apologizing for how you feel? Why would I; why would anyone? I am a victim and an executioner. That gets people’s attention. You can change one and not the other.